Most Riverland towns owned a Brass Band pre WW2 but due to the very considerable costs of maintaining instruments and uniforms etc. they gradually had to close down. 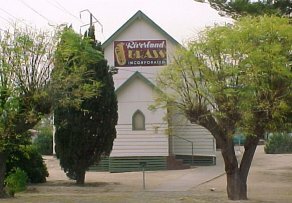 Renmark Citizens Silver Band, formed in 1907, was the only one to survive and they really needed the support of playing members from these other towns to remain viable, so they eventually purchased the former Lutheran Church in Berri as their Band Hall and changed their name to Riverland Brass Inc. in 1996.